This distinguished group of panellists will select the 2018 Premier’s Awards recipients. Andrew Bowerbank is well known to the energy, infrastructure, and cleantech sectors in Canada and internationally. He is a leading authority on emerging clean energy technologies, high-performance building design, and low-carbon economics. Through his experiences, he has developed the ability to identify new market opportunities and demonstrate the effectiveness of collaboration across industry sectors to achieve results. Bowerbank was recently named one of Canada’s top 16 sustainability leaders at the 2017 Clean50 Awards. He is also the recipient of the prestigious 2017 Ontario Premier’s Award for his career accomplishments, and in 2018 was awarded the Distinguished Fellow and Adjunct Professor honour by Mohawk College for his work on Ontario’s first Net Zero Energy institutional building on campus. Today, Bowerbank is the national vice president, sustainability and energy, at WSP, one of the largest engineering consulting fims in the world. 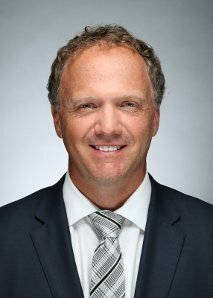 Among his past professional accomplishments, Bowerbank has taken on a number of leadership roles across the industry including head of sustainability at EllisDon Corporation, council member at the Federation of Canadian Municipalities, and member representative at the World Bank’s Carbon Pricing Leadership Coalition. Bowerbank is also the former CEO of the World Green Building Council (2007-10), where he successfully worked with council members to grow the WorldGBC from eight founding nations to over 60 member countries. He also worked with international leaders to establish green building networks across Europe, Asia Pacific, Latin and South Americas. During his tenure with the WorldGBC, he had the fortunate opportunity to work as a member representative for the United Nations Environmental Programme with a specific goal to deliver a global framework for major carbon reductions in buildings. As a published author, Bowerbank has had two of his books on Canada’s bestselling authors list and he has produced a number of market reports on topics including sustainable urban development, green health care, electric vehicle infrastructure, low-carbon economics, and more. In 2007, he received the Leader of the Year award from EnerQuality Corporation and the Ontario Home Builders Association for his contributions to sustainable community development, green home design, and for his efforts to initiate the development of Ontario’s first “Energy Star” certified community. 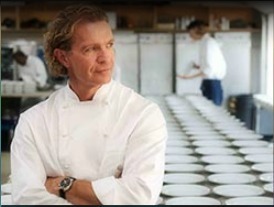 On June 23, 2010, Bowerbank proudly received an honorary bachelor’s degree in technology from Humber College in recognition of his professional accomplishments. He has also received numerous industry awards and recognitions for his keynote addresses, an activity he thoroughly enjoys. The opportunity now is to leverage his expertise, experiences, and networks to collaborate with industry leaders in efforts to shift markets towards a low carbon economy. 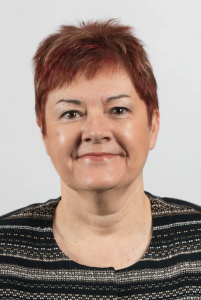 Marie-Lison Fougère was appointed deputy minister for seniors and accessibility and deputy minister responsible for francophone affairs in June 2018. Fougère has more than 25 years of experience in the Ontario public service. Prior to taking on her current roles, she was the deputy minister of francophone affairs, deputy minister of accessibility and deputy minister of seniors affairs. Her prior positions include interim deputy minister of the Ministry of Training, Colleges and Universities; assistant deputy minister of the strategic policy and programs division at the Ministry of Training, Colleges and Universities; assistant deputy minister at the Office of Francophone Affairs; and a variety of senior management roles at the Ministry of Education. She studied political science and German literature at Dalhousie University in Halifax and Heidelberg University in Germany. She holds a master’s degree from York University in Toronto and is fluent in French, English and German. As senior vice-president, Ontario region, Stephen Gaskin leads the regional strategy for acquiring, retaining and deepening customer relationships to drive loyal and profitable growth for retail and small business. Gaskin joined Scotiabank in 1985 and has held progressively senior positions, including district vice-president, vice president, service experience, vice president, customer contact centre, and vice-president, self service customer experience, where he had strategic responsibility for self-service channels including online banking, mobile banking, telephone banking and automated bank machines. Most recently, Gaskin was senior vice-president, operations, overseeing the delivery of day-to-day operational and sales support for over 1,000 Scotiabank branches and offices across Canada. He also had responsibility for the fraud management office and enterprise regulatory reporting. Gaskin is a graduate of the American Bankers Association School of Bank Marketing and Management. 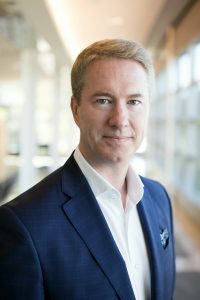 He holds a master of business administration from Northwestern University and York University, and has completed the executive strategy program at Queen’s University. 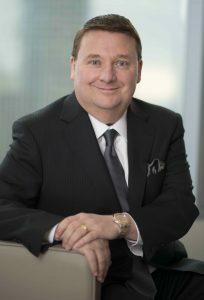 He is a past chair of the Scotiabank United Way Campaign and is currently on the board of the Ombudsman for Banking Services and Investments. He lives in Toronto with his wife Chris, who is also a Scotiabanker. Mary Ito has had a long history of broadcasting. She was the host of Fresh Air on CBC Radio One, which is the No. 1 weekend morning show across the province, Before that, Ito worked at CBC Television as the host of Living in Toronto. She worked at TVOntario for five years as host of a daily talk show called More to Life, which covered an eclectic range of topics in health, education, arts and culture, business and family issues. Ito was also the host of Second Opinion on TVO, a panel show that dealt with controversial issues in health. She also worked at Global-TV as the anchor of a daily health report called Health Matters. Ito has also worked at CFTO-TV as a reporter, host and weekend news anchor. She also worked previously in radio at CBC, and at CFRB as a reporter, host and producer. Ito is active in the community with a particular interest in health. She has volunteered her services for many organizations, including the Centre for Addiction and Mental Health, the MS Society of Ontario, the Hospital for Sick Children, the Toronto Public Library and the Japanese Canadian Cultural Centre. She lives with her husband and three children in Toronto. Brent Lessard is an accomplished team leader and project manager with proven experience developing and launching innovative technology projects. A mechanical engineer with experience in intelligent building monitoring and management systems, Lessard is co-founder and project manager at rLoop; a SpaceX award-winning, globally distributed and crowd-sourced engineering organization with over 1,300 members from more than 50 countries. Lessard successfully established the vision, strategy, platform, and processes to facilitate the virtual and physical collaboration of an amorphous community to create one of the most advanced Hyperloop prototype vehicles to date. rLoop is now established as a decentralized research and development organization, engineering solutions to some of the world’s greatest challenges. Lessard also served as adviser to the president of Durham College for the School of Science and Engineering, and was recently awarded a 2017 Ontario Premier’s Award in the recent graduate category. Kimberly Moran became CEO of Children’s Mental Health Ontario in mid-2014. Recognized as a leading advocate for children with a focus on mental health, Moran brings more than 25 years of senior leadership experience in the private and not-for-profit sectors. A chartered professional accountant, she has a strong foundation in financial and operational management that underlies her interest in developing effective and affordable health-care systems. Moran is especially passionate about improving the delivery of children’s mental health treatment in communities because of her personal experience as mother of a daughter who became seriously ill. She volunteers extensively across the health-care system, contributing her health-care, financial and fundraising expertise to North York General Hospital, Sunnybrook Hospital, and the Canadian Mental Health Association – Toronto. Throughout her career, Moran has been involved in transforming organizations through the development and execution of innovative strategies, building strong collaborations and partnerships and driving impact for stakeholders. She has worked in complex multi-stakeholder organizations. Prior to CMHO, Moran held positions as special adviser to the dean of the faculty of medicine, University of Toronto, and chief operating officer at UNICEF Canada. While at the University of Toronto, she developed innovative funding collaborations in public/private partnerships to address gaps in health service delivery and basic science research funding. She led UNICEF Canada at the time of Haiti’s devastating earthquake when Canada was one of the top donor countries, contributing more than $13 million. Moran also spearheaded the UNICEF Canada advocacy, communications and government relations work around the 2010 G20 Summit in Toronto, advocating for funding for maternal, newborn and child health. Canada was the largest pledging country, with $1.1 billion. Marc Seaman has been with Microsoft Canada since 2004, and is currently the company’s vice-president, Education Segment. He previously held the position of national director of Corporate Communications and Public Affairs. Marc began his career in marketing roles for both the Ottawa Senators and the Ottawa Rough Riders in the early 1990s, before joining GPC- Fleishman Hillard as vice-president of its communications practice. Marc has a strong passion for the National Capital Region and a long history of community involvement. He served as the chair of the Shaw Centre from 2013 to 2017, and is currently a board member of the Ottawa Sport Hall of Fame. Marc was a member of the board of governors for The Ottawa Hospital from June 2012 to June 2016 where he chaired its Communications Committee. He served on the board of governors of the University of Ottawa from 2001 to 2006, including serving on the Executive Committee and chairing the External Relations Committee. Marc has also served on the United Way of Ottawa cabinet, national board of the Boys and Girls Clubs of Canada, as a jury member for the Premier’s Teaching Awards and as a member of the organizing committee for the 2016 One Young World forum. Raised in a francophone household in Ottawa, Marc is fluently bilingual and holds a bachelor’s degree in Communications from the University of Ottawa. 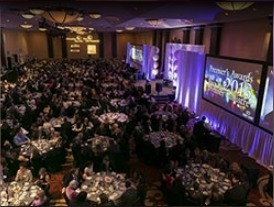 His professional achievements have earned him the International Association of Business Communicators Award of Excellence, and he was a recipient of the Ottawa Business Journal’s Forty Under 40 in 2007. Marc has also received Manager of the Year honours and the Judy Elder Leadership Award for Microsoft Canada. Marianne Walker is changing the future of health care in Ontario. In leadership roles spanning more than 30 years, including her current role as president and CEO of Guelph General Hospital, she has worked to refocus health care on the patient. She has led several region- and provincewide initiatives that have dramatically improved patient outcomes after stroke, and her elder care strategy is recognized as one of the best practice model provincewide. As a surveyor with Accreditation Canada, Walker is also helping to improve health care quality and patient safety across the country and internationally in countries including Brazil. Walker holds a master of health sciences from the University of Toronto, a bachelor of science in nursing from McMaster University, and a nursing diploma from Conestoga College. Walker is the recipient of the 2015 Premier’s Award for outstanding Ontario college graduates in health sciences and of the 2016 Women of Distinction Lifetime Achievement Award for Health, Wellness and Recreation. She is a board member of the Change Foundation and the Canadian College of Health Leaders, and past Ontario Hospital Association board member.